These labels appear for all users when viewing a student's progress reports. These terms help students, parents, and staff distinguish between older and current progress reports. The recommended usage is to label your progress reports with the term using values such as S1, Q2, and M3. 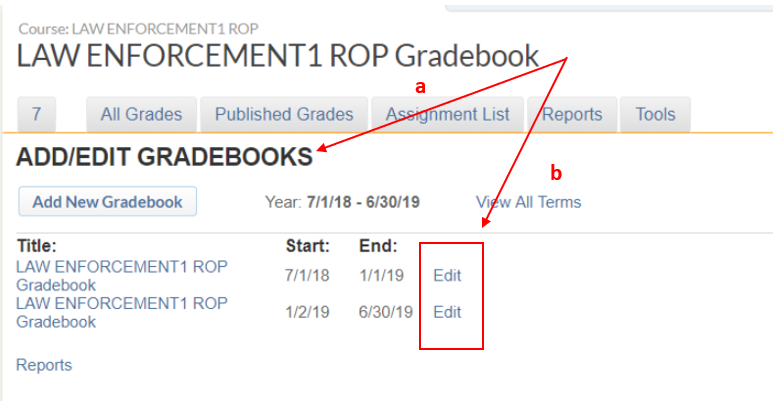 From the portal Hompage, click Add / Edit Gradebooks link under the Gradebooks Menu. Add a Gradebook or Select a Gradebook if you are editing the labels in an existing Gradebook. Adding a term label to a new Gradebook. 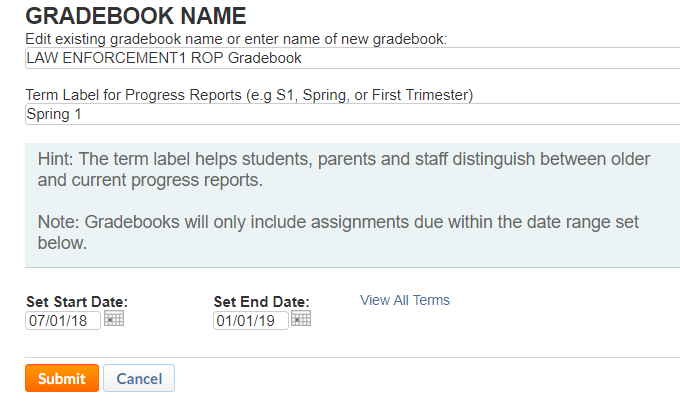 Fill out the Gradebook details, set the period (start and end dates) and enter the progress report label. 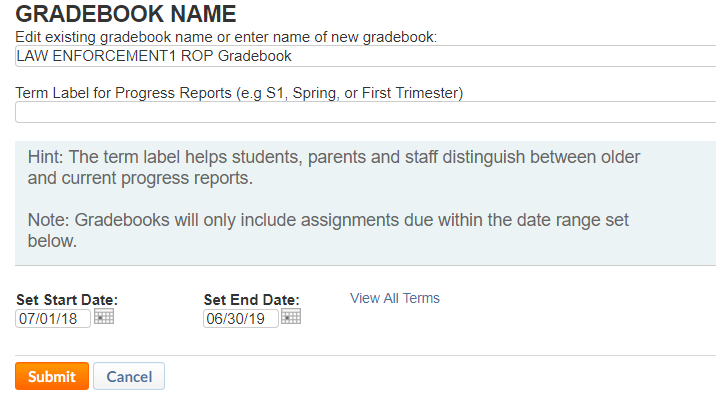 Making changes to the term label of an existing Gradebook. Click on the Edit link on the right side of the Gradebook that you are editing. Enter the new term label and click submit. 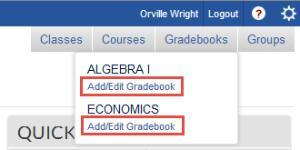 If you are already on the Gradebook page, you can find the same link to Add / Edit Gradebooks under the Tools tab. Click on the Edit Link on the right side of the Gradebook once again. The Term Label field is filled out with the most recently added Term Label.